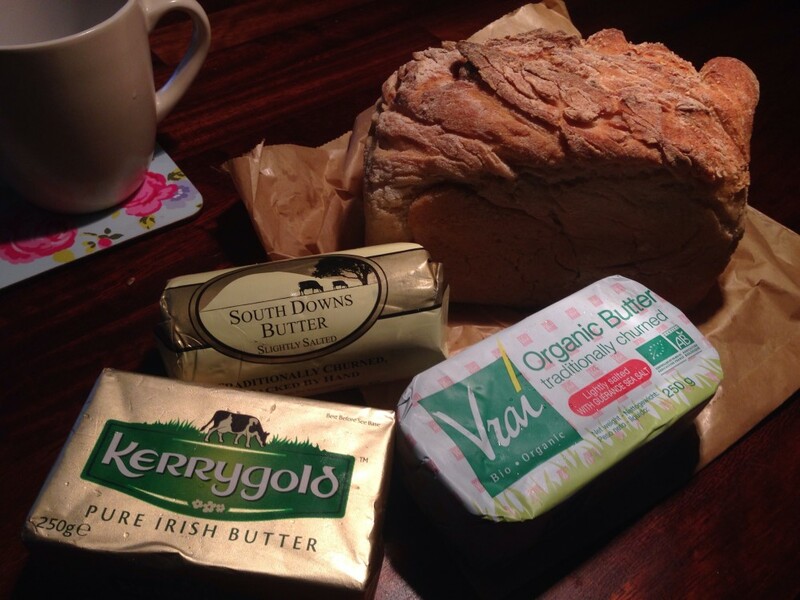 Home » Uncategorized » Which Grass Fed Butter Should I Buy? Since adopting grass fed butter as a primary source of saturated fat I must have tried over two dozen varieties of the delectable dairy product in England and Canada and over the years it’s become clear to me that actually, butter isn’t just this yellow stuff and that it’s untrue to say once you’ve tasted one kind of butter you’ve tasted them all. 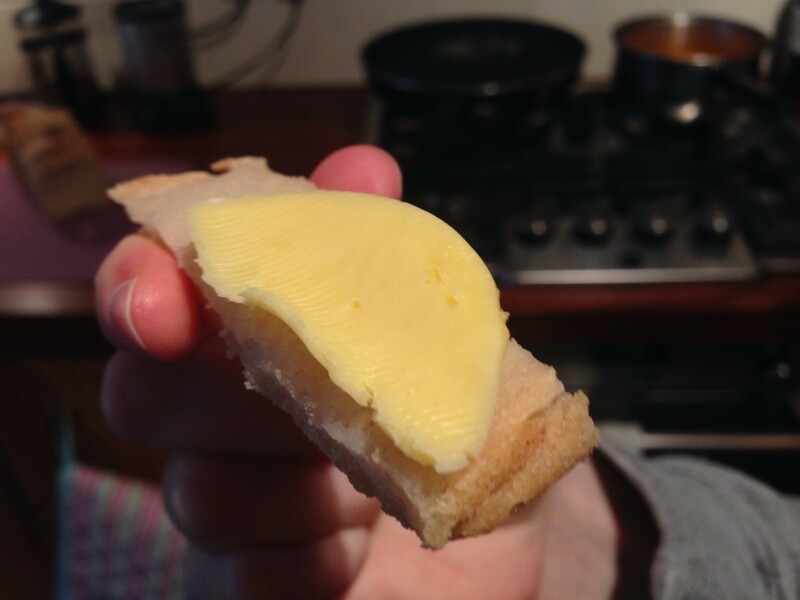 Spurred on by this realisation I swiftly came to another: “Butter review post for Elevenses!”. So here we have it, Elevenses helping you out on the age old question, which grass fed butter should I buy? 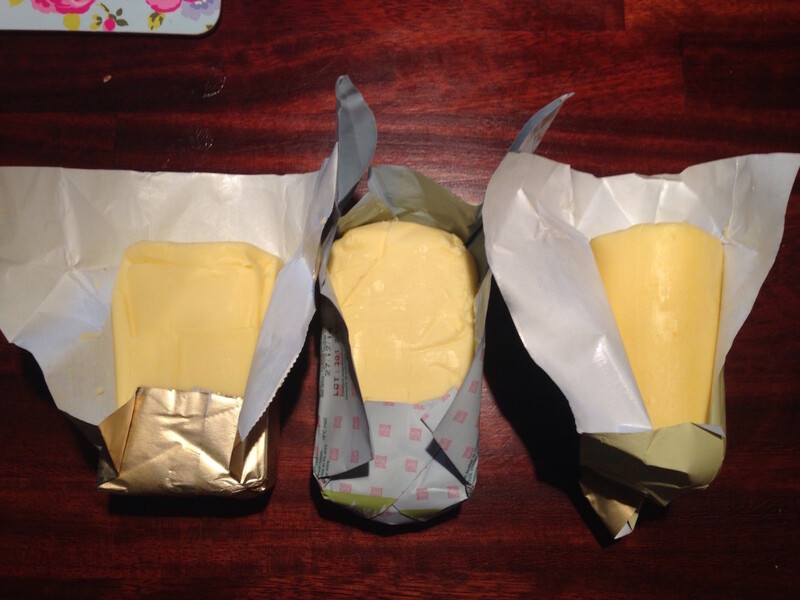 Myself and Jacqui performed a taste test of three organic grass fed butters. One locally sourced, one imported and one leaning more towards the “budget” category. It’s also worth noting here that when we say “locally sourced” the location we are referring to is East Sussex, England – so for those of you in the Great White North or beyond, you may have limited access! In addition, all prices are in Pounds Sterling (£). A tasty aside: Jacqui and I rigorously “tested” all butter in this post by spreading generous amounts on some delicious gluten free bread we found in a nook of Infinity Foods in Brighton Laines., Safe to say this loaf stole the show! Taste: Incredibly smooth and delightfully creamy taste to this locally sourced, organic and grass fed butter. In addition to a nice deep flavour, the butter is a pleasure to eat as its creaminess lends to a nice mouth feel. If you’re not overly keen on salt then this butter is a great choice for you. Pros: Could be used in a wide variety of cooking! Good For? After tasting and re-tasting (we work hard here at Elevenses y’see) we decided this butter would be the best choice to deepen a dish. Examples of where we’d use it include: mashed potatoes of any kind, and making glossy sauces and jus. 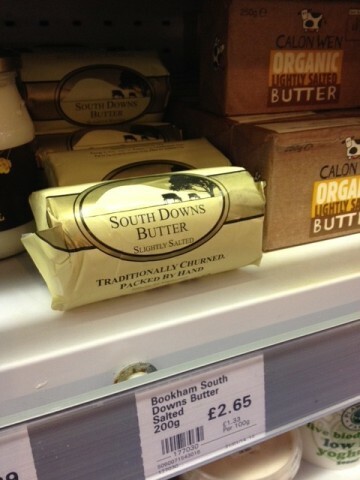 Taste: In comparison to the Bookham South Downs butter, Vrai boasted a much stronger flavour overall yet maintained a lighter taste. 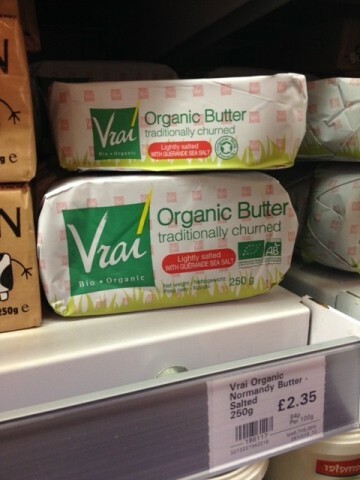 If you’re looking for butter that’s light and floral, you should consider this imported (at least to the UK!) choice. Pros: Our favourite tasting butter of the three! Good For? We were pretty blown away at how delicious this butter was, so much so that we spread it on everything for the week following our taste session. We’d recommend you use this butter if you want it to be the star of the show. Examples of where we’d use it include: As a spread on artisanal breads. 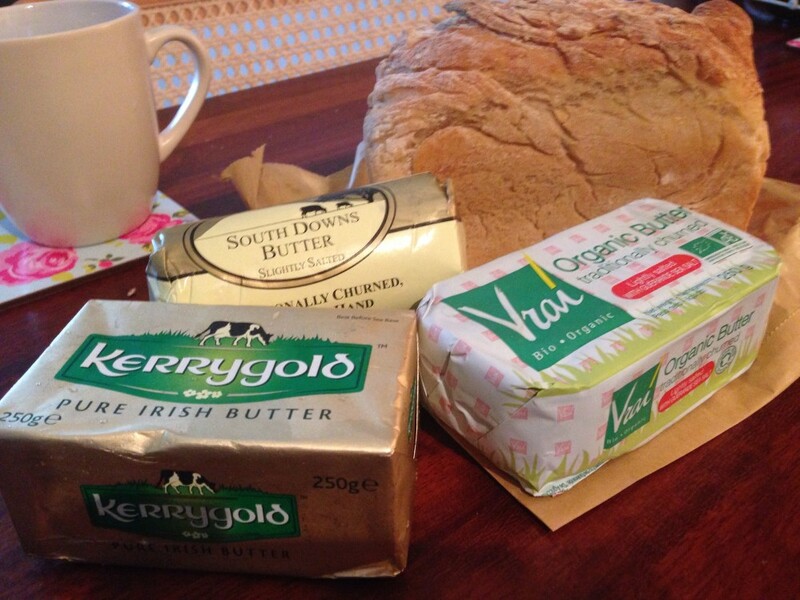 Taste: In comparison to the Bookham South Downs and Vrai butters, Kerry Gold produces a more basic flavour with no distinctive floral or salty notes to speak of. The texture is solid though, producing an enjoyable mouth feel. Cons: Doesn’t boast an amazing flavour, but that doesn’t stop it from serving a daily purpose! Good For? We’d recommend using this butter as your “go to” everyday butter. Examples of where we’d use it include: In our bulletproof coffee’s or when frying streaky bacon off on a cold Sunday morning. All in all the taste test was delicious, but I’m sure that goes without saying and I apologise from the deepest depths of my heart if reading this has made you incredibly hungry! Jacqui and I were able to get a great deal out of the experience, highlights to note definitely include the discovery of our new favourite butter: Vrai. With a delicious balance of salt and floral hints, we’ll be sure to stock a block or two in our fridge to spread atop those artisanal gluten free breads. 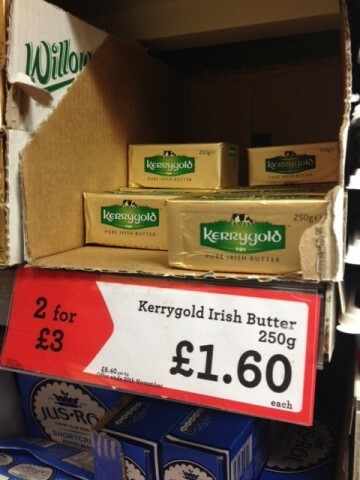 Being a student and a start-up owner, we were also ridiculously pleased to find Kerry Gold at an astoundingly low 64p per 100g. 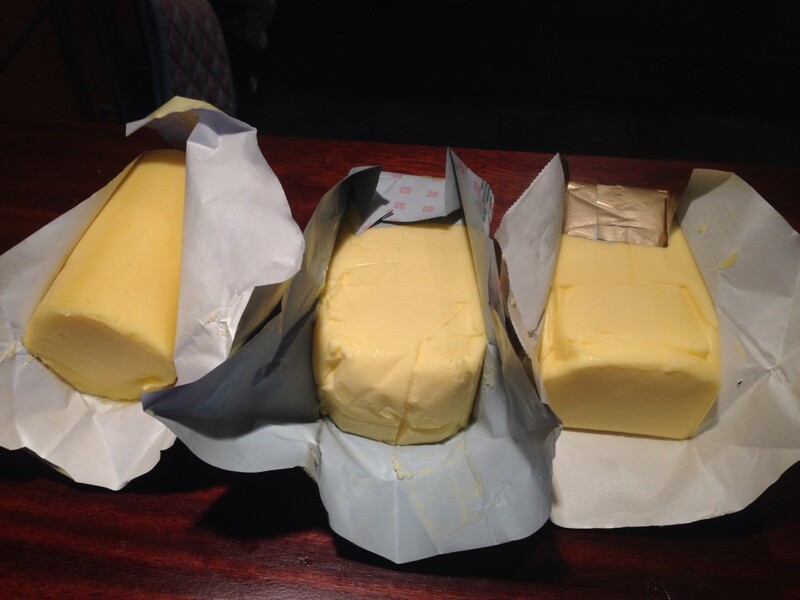 A price which has indeed lead to no other butter being used in our bulletproof coffees since September. Although we have a favourite of the three, everybody’s palette is different so get out there and get tastin’ to discover your favourite butters for your individual needs! We hoped you enjoyed this post and we’d love to hear any feedback you may have about anything Elevenses. Whether it be recommending a monthly topic, a post format or just letting us know how we’re doing overall we’d be thrilled to hear from you! You can catch us on our regularly updated Facebook page byclicking here. Or on Instagram by clicking here. Natalie Wright is a blonde, english, 20-something that has the pleasure of blogging with the Cardinal family. Her column is "Food for Thought" and discusses the effects of food and supplementation on cognitive ability. When not blogging on Elevenses, Natalie can often be found ranting about digital marketing on Google+ and twitter.